Individual therapy and family therapy are both important to the overall success of a drug addiction treatment program. The two types of therapy are very different, however, and accomplish different objectives according to the Substance Abuse and Mental Health Services Administration. The differences are found in which person is the identified patient in the therapy situation. How Does Family Therapy Relate to Addiction Rehab? 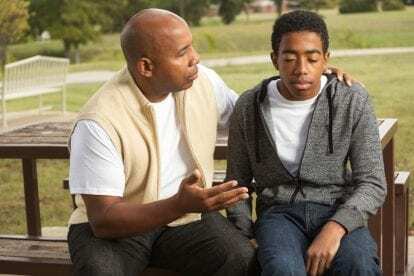 Can Family Therapy Help Families Torn Apart by Drug Addiction? When an individual seeks addiction rehab, they will often participate in individual therapy. This can be in the form of cognitive behavioral therapy, that addresses thought patterns and provides practical life skills to overcome addiction, or talk therapy with a psychologist or psychiatrist to address co-occurring disorders, or both. In this case, the recovering addict is the identified patient and the focus in on the issues facing him or her, exclusively. In family therapy, the focus is on the family as a whole. How well do the members of the family communicate? Are there feelings of resentment concerning the recovering addict’s abuse of drugs? Is there a lack of understanding about why one member of the family is addicted to drugs or even what addiction is? For example, some individuals might believe that using drugs is a choice that can be easily altered. They may not understand that addiction is a chronic, recurring brain disease that requires intensive treatment programs to curtail it. Family therapy is designed to address all the interpersonal relationships that occur within one family unit. Extended families exist when aunts, uncles, grandparents or other relatives reside in the same household as the nuclear family consisting of children and parents. The third type of family is known as an elective family. This type of family consists of individuals who have chosen to live together in a cohesive unit but are not related by blood or marriage. Examples of this family structure might include godparents, gay or lesbian couples raising their respective children together, or any other non-biological individuals who share an emotional bond with one another. In some cases, the elective family ties may be stronger than those families bound by blood relation or legal mandate. Drug addiction does not adversely affect the drug abuser alone, according to the University of Massachusetts at Boston. The behaviors and attitudes concerning addiction can have troubling effects on every member of the household. An example of this might be someone who is a financial contributor to the household failing to go to work due to drug use. The lack of income can result in added stress to other members of the household who must then assume the extra responsibility for monthly expenses. When the addict fails to show up for work repeatedly, he or she may lose their job, further adding to the burden. The family member who must pick up the slack might develop anger or resentment toward the addicted family member. If there are children in the household, they can experience emotional trauma due to an adult’s drug abuse. When an adult abuses a drug that can lead to violent behavior, every member of the household may experience the negative effects of domestic violence. Since the entire family is traumatized by drug addiction, it makes perfect sense for the entire family to engage in treatment for the issues raised by the addiction. The goals of family behavioral contracting therapy are multifaceted. First, the goal is to recognize that the problems experienced in the household are family problems, even the addiction issues of one person. Next, the counselor’s objective will be to create a drug-free environment for all family members. This includes securing an agreement for any members of the household who abuse drugs but who are not currently seeking treatment. Finally, the counselor will work with each family member to help them cope with the changes in the household. Another form of family therapy has been put forth by two researchers named Bepko and Krestan. The goals for therapy designed on their theories concentrate attention on the individual suffering from addiction, while paying attention to the interpersonal relationships of all family members. This model helps all members of the family take responsibility for themselves and their own needs without manifesting unnecessary or inappropriate responsibility for others. For instance, one spouse may feel as though it is his or her responsibility to prevent the other from abusing drugs, when in actuality, they may have little or no control over the actions of the other party. Later in the treatment process, once everyone understands their roles, the family will work to create a healthy, sober environment through addiction treatment programs. In some cases, families have adjusted to the drug or alcohol abuse and addiction within their family. They have a routine – a way of dealing with the drug use that might include enabling the individual to use. For instance, the use of some drugs can cause violence (such as with methamphetamines) and family members may be fearful to approach the addicted individual to discuss treatment. Another situation may involve placating someone who is self-medicating for anxiety because the family members can’t bear to see the loved one suffer through panic attacks or bouts with disorders such as OCD. When this happens, family therapy is an excellent tool to treat an entire family by helping each member, and the family as a whole, manage the changes within the household. If the family’s reactions to the new sobriety, withdrawal symptoms and other issues are not managed appropriately, the resulting stress can easily trigger a relapse. For many years, drug and alcohol addiction treatment providers have involved family members in recovery programs, according to literature from the U.S. Department of Health and Human Services. Typically, this involved “family days” at rehab facilities, as well as the utilization of the 12 steps established by Alcoholics Anonymous. Family-involved treatment encourages family participation for the benefit of the recovering addict. Family therapy encourages healing of the entire family unit. Family-involved treatment is a marginal accompaniment to individual addiction treatment. Family therapy is its own treatment plan independent of addiction treatment. As both addiction counselors and family therapists work together, they have come to understand that integration of the two processes are mutually beneficial to everyone touched by drug addiction. Because every recovering addict is a unique individual, and every family has its own personality and dynamic, it is important to find an addiction rehab center that has the experience necessary to balance all the elements. 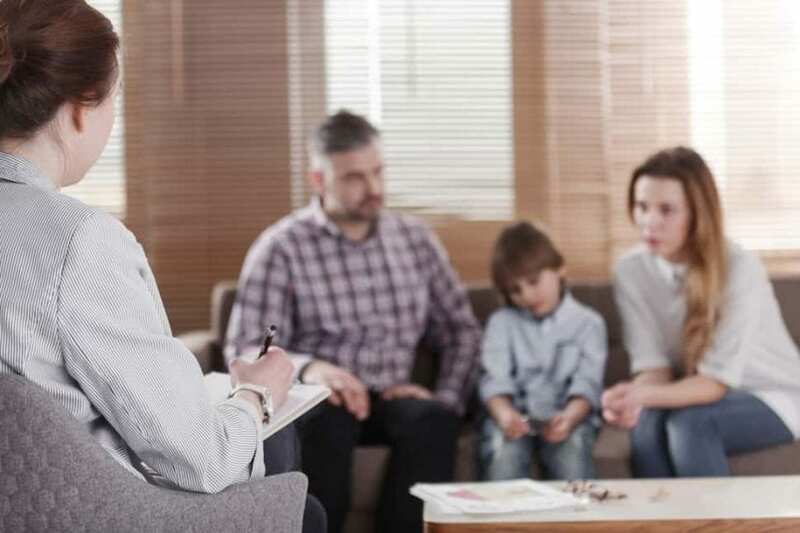 A recovering addict may have co-occurring disorders that have already been integrated into the treatment program, so adding in the family therapy aspect might feel overwhelming if not handled properly. By adding the family members to the recovery process, the motivations of the recovering individual are changed, as are the individual’s needs. Incorporating the family is crucial to overall success so that when the addicted family member returns home, the entire family has a solid foundation from which to encourage continued recovery. It is also important for the family to heal the wounds that may have been caused by the addiction in the first place, so they can move forward in healthy relationships. At Alta Mira, we have the experience and desire to help your entire family healfrom the damage that addiction causes every day. Through a comprehensive program that is tailored to the needs of each individual and each family, we can give you the tools you need to succeed. Please, do not hesitate to contact us for a consultation and find out how we can help you.